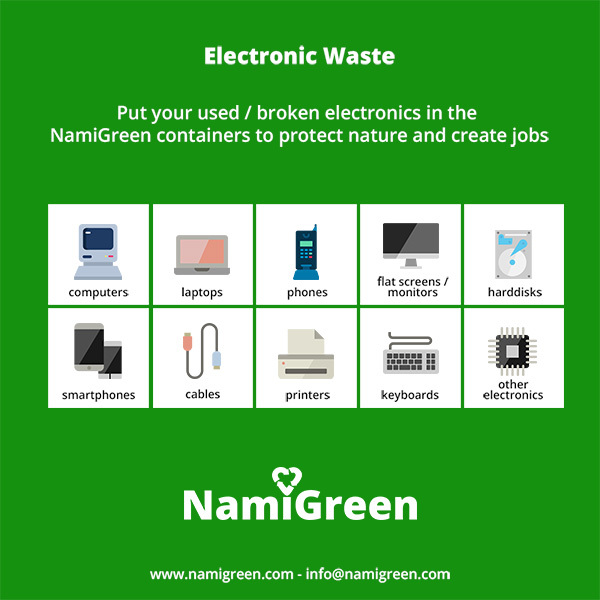 E-waste, or electronic waste is handled professionally by NamiGreen - NamiGreen collects and recycles e-waste all over Namibia in a safe and environmentally responsible way. By recycling we ensure a green Namibia and we also create jobs. We adhere to the ISO 14000 series environmental management systems.